I believe that every food tasting is a blessing! Haha! 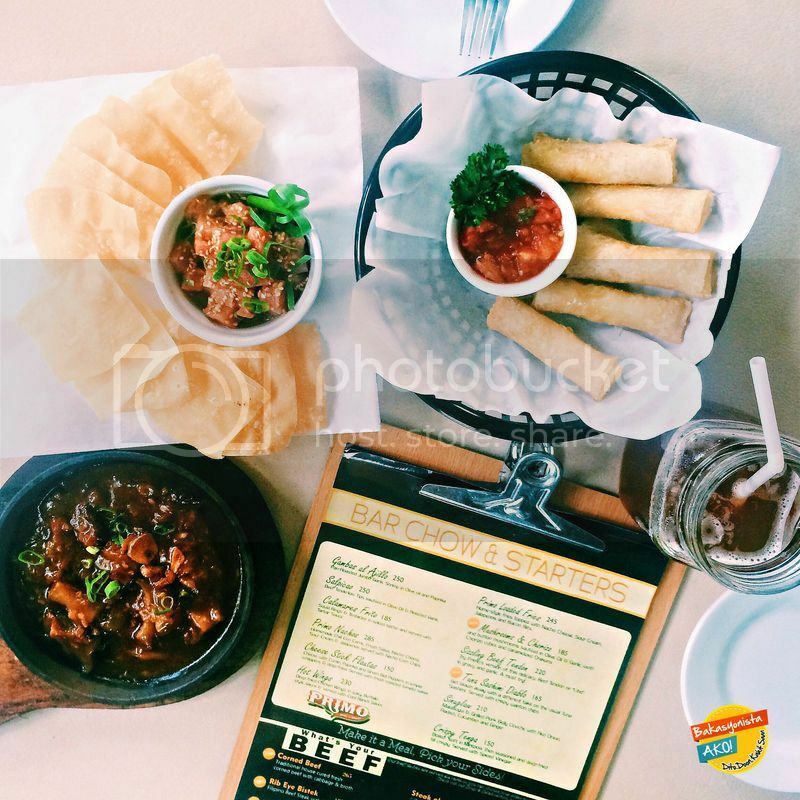 So I was really glad to be one of the Davao bloggers to taste Primo’s newest dishes last June 18. PRIMO has been operating in Davao since March 16, 2012. A group of friends who loves food decided to build this restaurant where everybody can hang out, eat good food, and have fun. 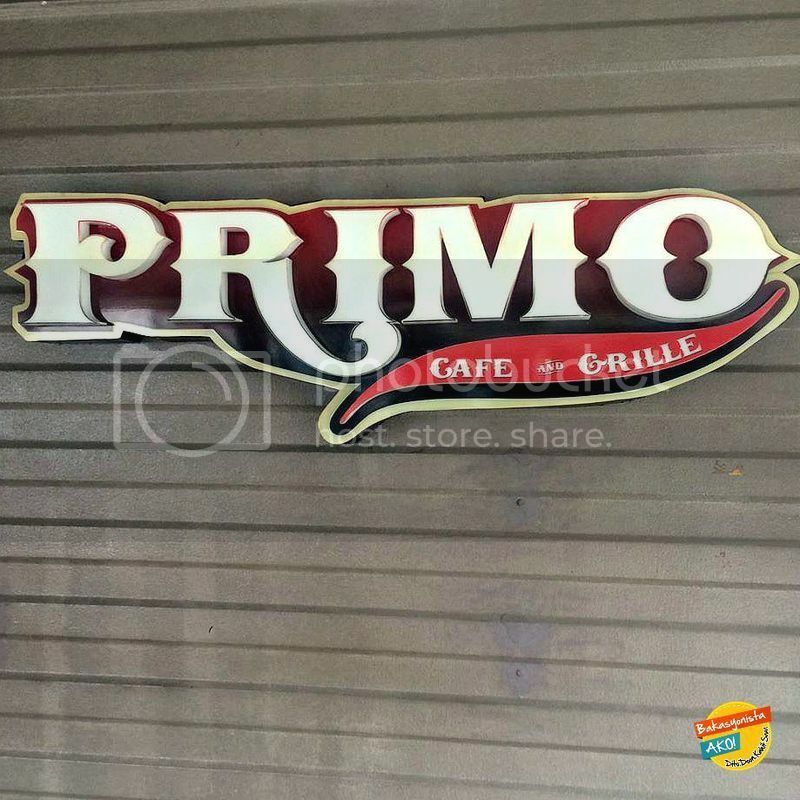 PRIMO means “cousin” in Spanish, or a “close relative”. In English, it means “first in excellence, quality, or value”. When I visited PRIMO for the first time last 2013, I only had a drink and believe me, I can still remember how good their mojito is! So I am excited to taste their food for the first time. 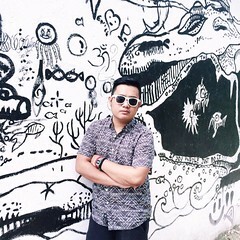 Mr. Alex Tiaoqui accommodated us and introduced their dishes one at a time. TUNA SASHIMI DIABLO (P165) - It’s not that sour, but it was really spicy. It also tastes “milky” for me. 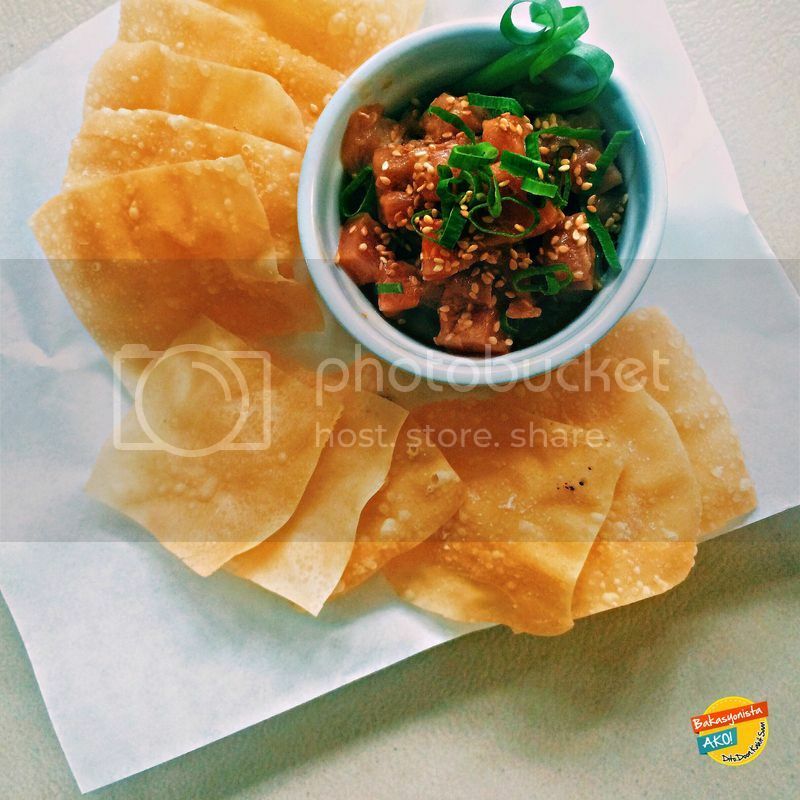 I like the combination of the crunchy wonton chips and the spicy tuna sashimi. It’s like an “Asian Tuna Tacos?” haha! 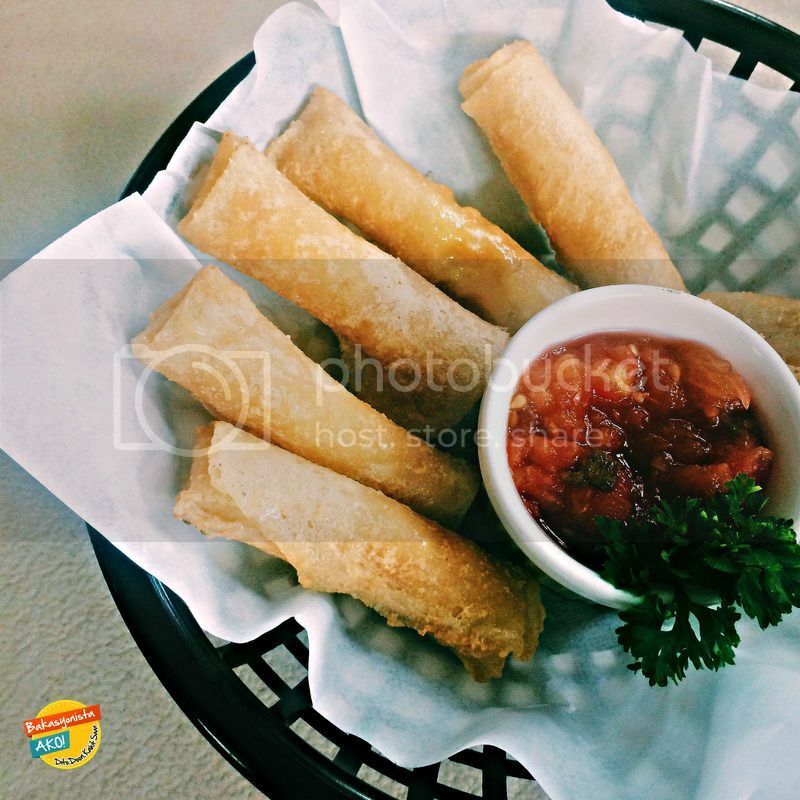 CHEESE STICK FLAUTAS (P150) - I was hesitant to try it first because when I heard “flautas”, I imagined a big and very spicy green bell pepper inside this Lumpia wrapper. But when I tried it, it only has a small amount of green bell pepper and it tastes good! It’s more cheesy than spicy and the roasted tomato salsa is really good! 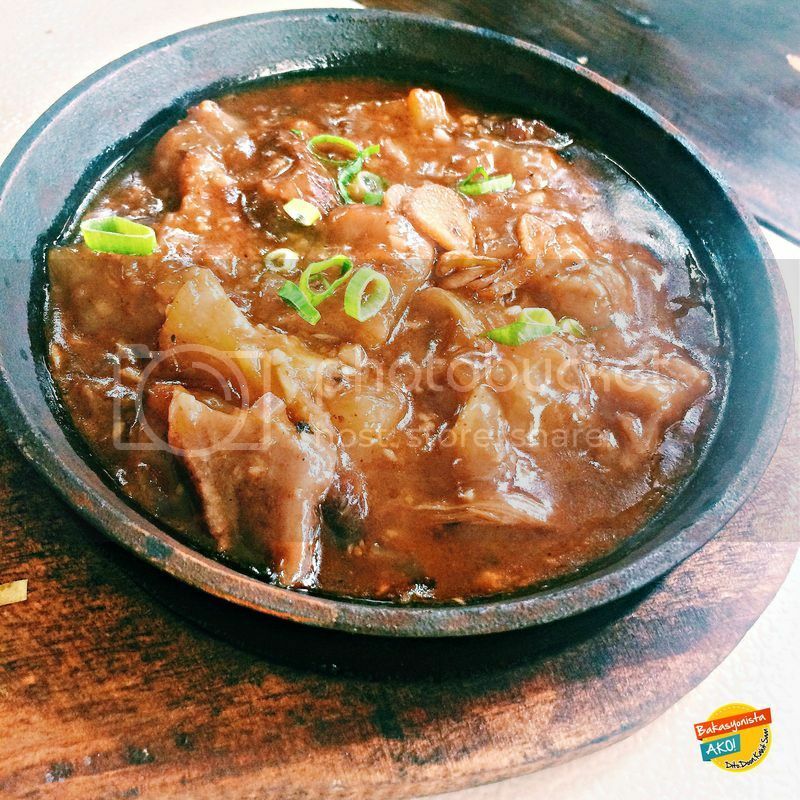 SIZZLING BEEF TENDON (P220) - I am not a fan of beef tendons or “litid”, but their version of this dish is a “thumbs up”. It has a thick gravy with garlic. I highly recommend this as a main dish served with rice. 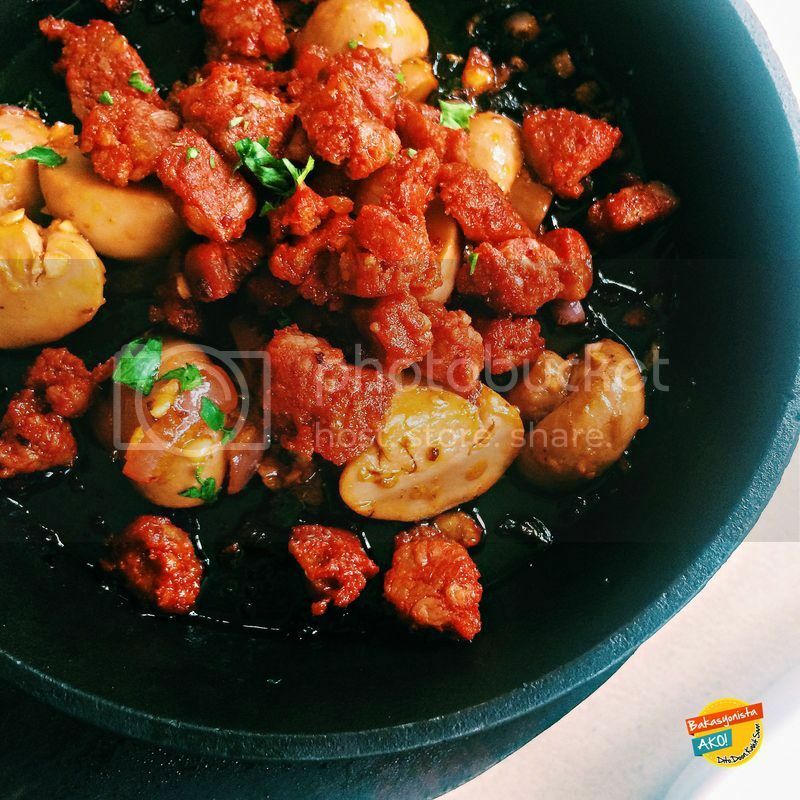 MUSHROOMS AND CHORIZO (P185) - Sauteed chorizo, button mushrooms, and caramelized onions in Olive oil and garlic. The chorizo was too salty for me, but the mushrooms balanced the taste. 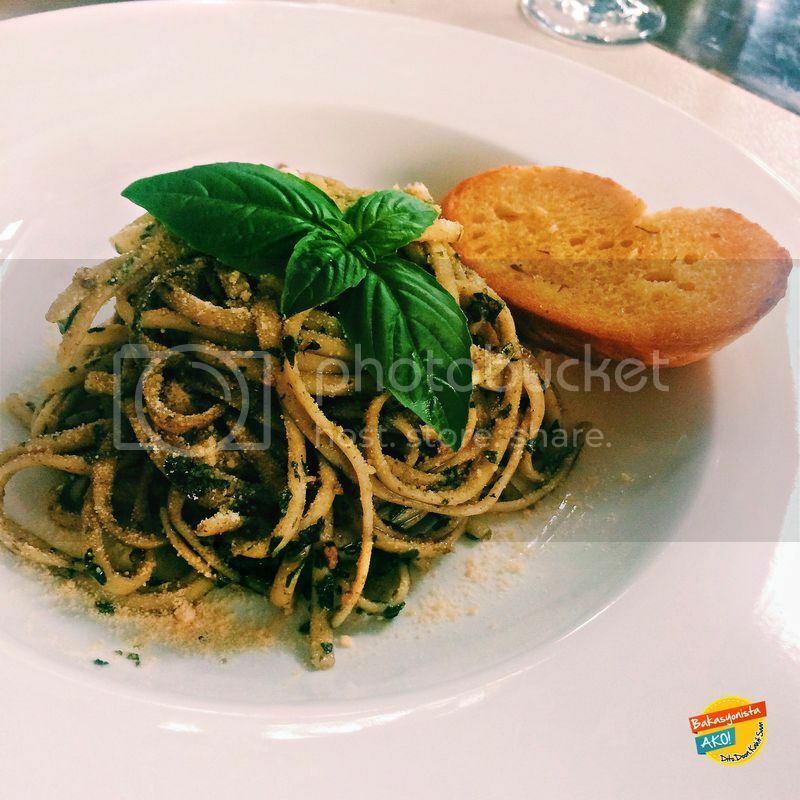 PESTO LINGUINI (P155) - I was surprised that their version of pesto pasta is not oily, which is a good thing. I like the saltiness of the parmesan cheese and the crunch of toasted cashew nuts. This might be a new favorite for pesto pasta lovers. 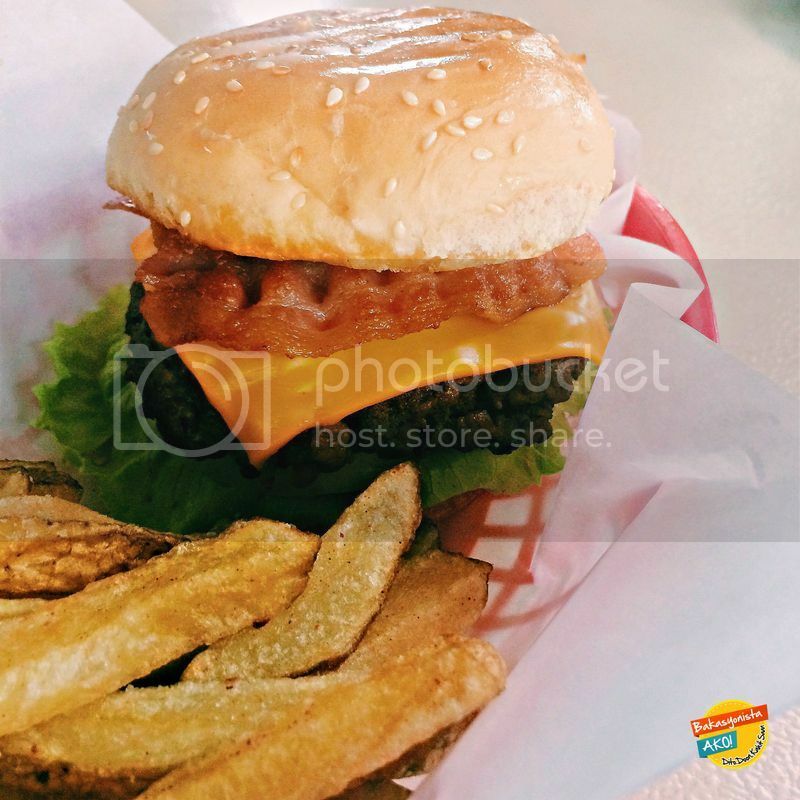 BACON MUSHROOM MELT (P255) - I really wanted to eat the whole burger by myself, but I had to share it to my fellow bloggers. Haha! The beef patty was delicious and the bacon was crispy and tasty. The french fries was seasoned just right. I’ll think of eating this when I’m in a bad mood and I want to eat something to de-stress myself. Haha! 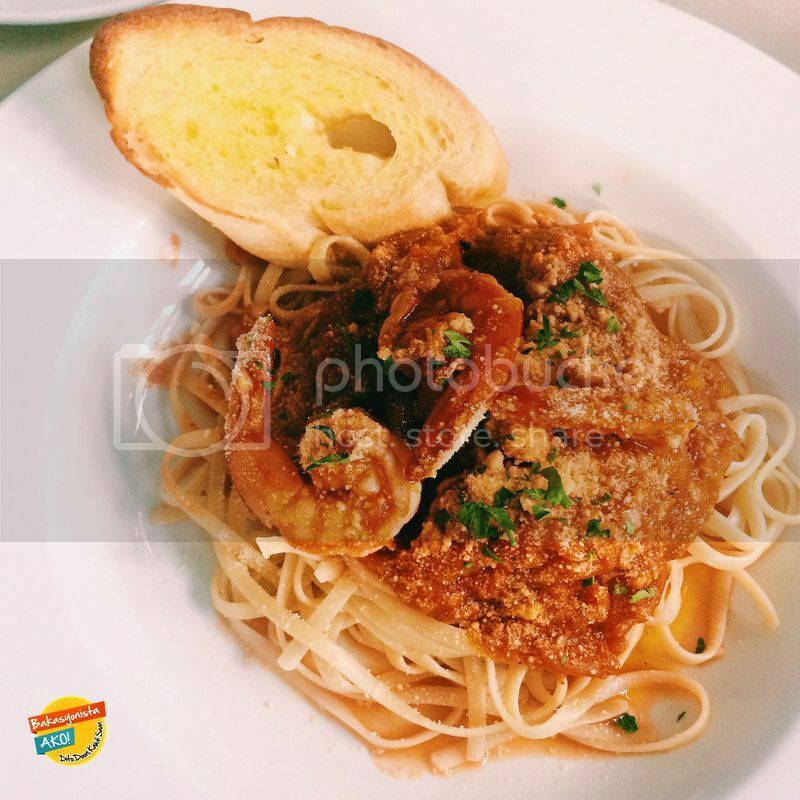 SHRIMP DIAVEL PASTA (P250) - I love seafood pasta and I must say that this one was cooked to perfection. The spicy gambas were not overcooked and the marinara sauce gave me the “kilig” feeling. Haha! Definitely, a must try! 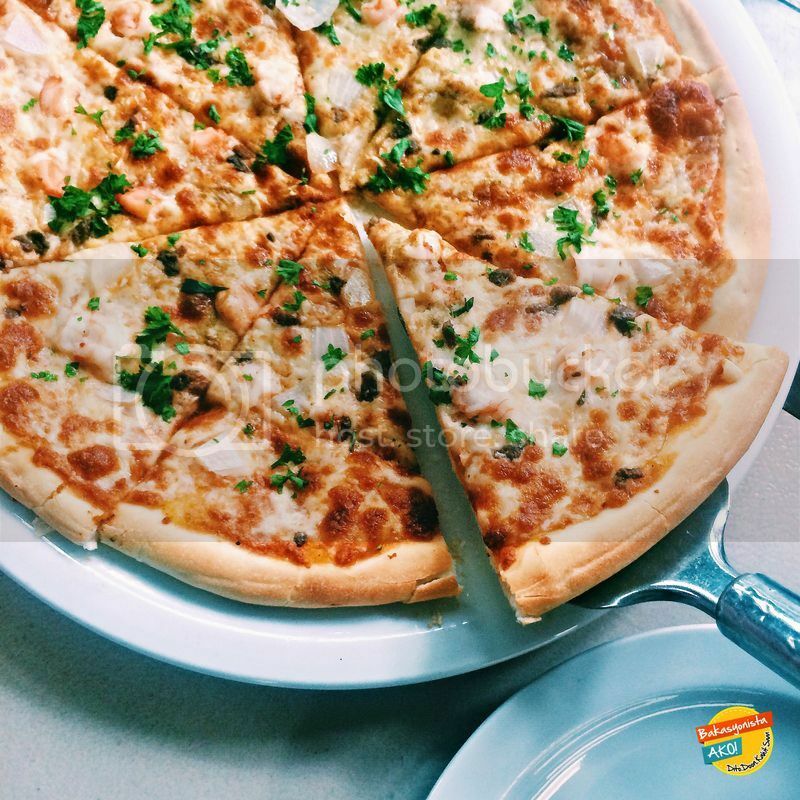 SEAFOOD SUPREMO PIZZA (P360) - This is one of my favorite dishes too! It’s a thin crust pizza with shrimp, anchovies, garlic, onion, and mozzarella! You can really tell that there’s anchovies because of the strong smell and taste. I couldn’t ask for more! 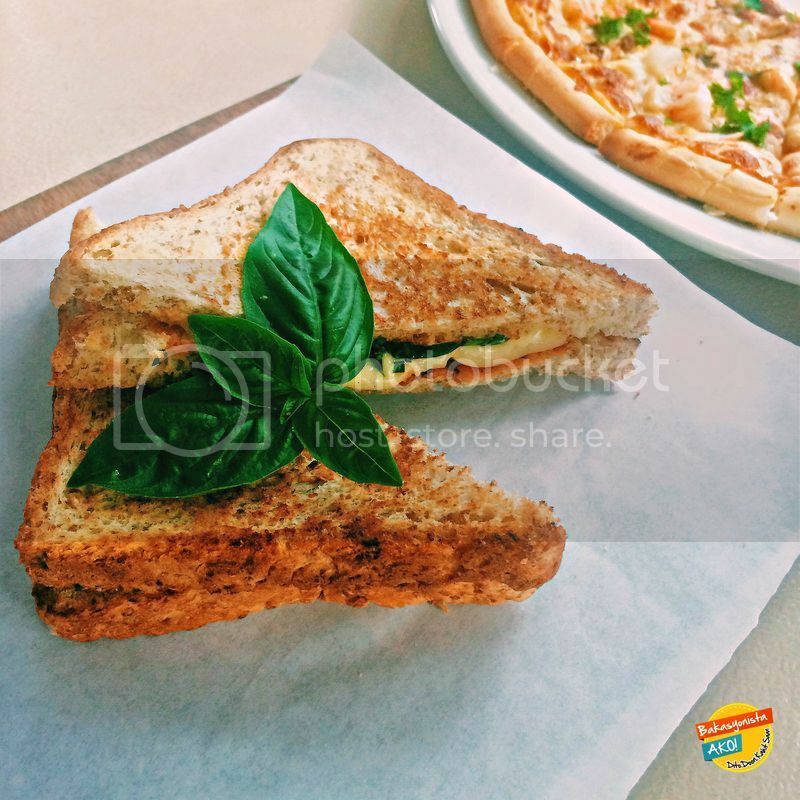 GRILLED CHEESE, TOMATO, AND BASIL (P140) - They combined the rich flavors of cheddar cheese and basil sandwiched in a toasted wheat bread. The smell is strong, but it adds flavour in every bite. This is a perfect merienda served with an iced tea. 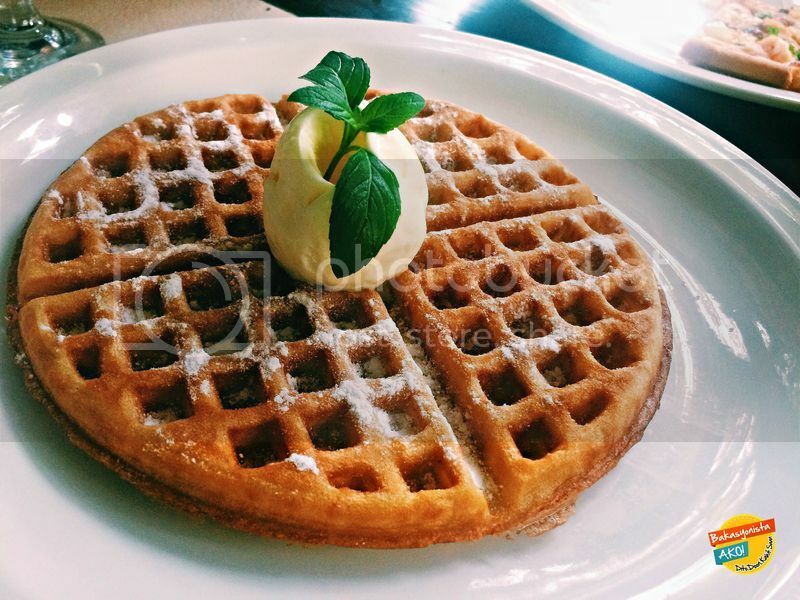 CLASSIC GOLDEN WAFFLE AND MANGO JUBILEE WAFFLE (P110/P170) - Both waffles are yummy. But the best waffle goes to the Mango Jubilee. 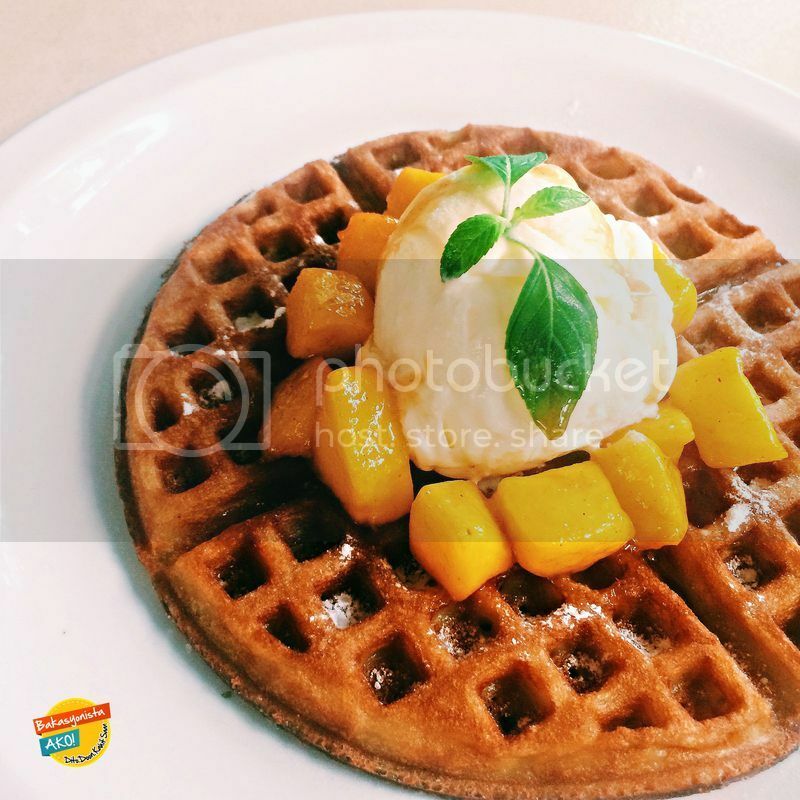 Vanilla Ice cream + Mango + Waffle = best dessert ever! If you would ask me what are my top 3 dishes, that would be the Shrimp Diavel Pasta, Seafood Supremo Pizza, and the Mango Jubilee Waffle. Per order is good for 2 persons. So if you are going out in large groups, you might have to order more. The price range is Php150-Php360. They also serve different beers and cocktails. We would like to thank Ms. Karla Singson for inviting us and for organizing the food tasting event. Thanks again to Sir Alex for the warm accommodation.